Like many couples in the UK, this couple reached the point where they decided to downsize their home. While they loved their family home, they no longer wanted the upkeep and really didn’t need the space any more. But they quickly discovered that downsizing was likely going to involve compromises that would restrict their lifestyle. To find a smaller home that would still give them the living spaces they wanted, seemed an impossible task. The solution was to purchase a property that had enough yard space to build an extension. Fortunately, the home they purchased not only had the space for an extension but also plenty of height to really make the most of what was otherwise a blank featureless wall. 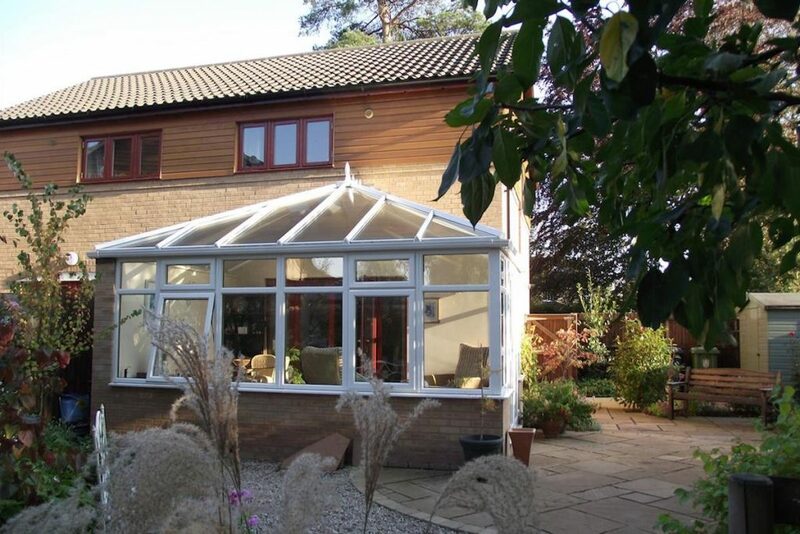 After discussing options with the Cambridge Conservatory Centre the owners settled on a conservatory that more than doubled the size of the living spaces of their downsized semi-detached Great Shelford home. A solid wall was constructed just inside the boundary line between the owners property and the home next door. 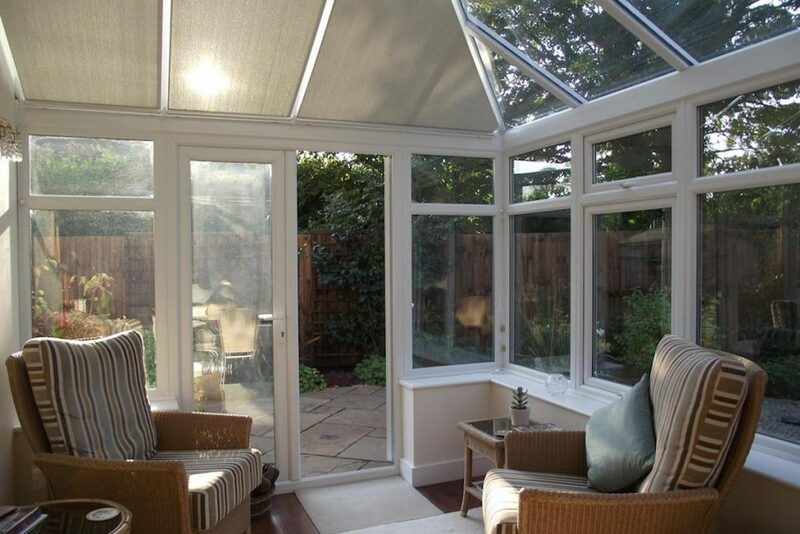 This effectively created a corner in which to place a fully glazed conservatory. With a complete wall of windows opposite the back wall of the home, there is a clear line of sight from the original spaces as well as from the new Great Shelford Conservatory. A set of French Doors was added to the end providing access to a paved patio area for outdoor living when weather permits. 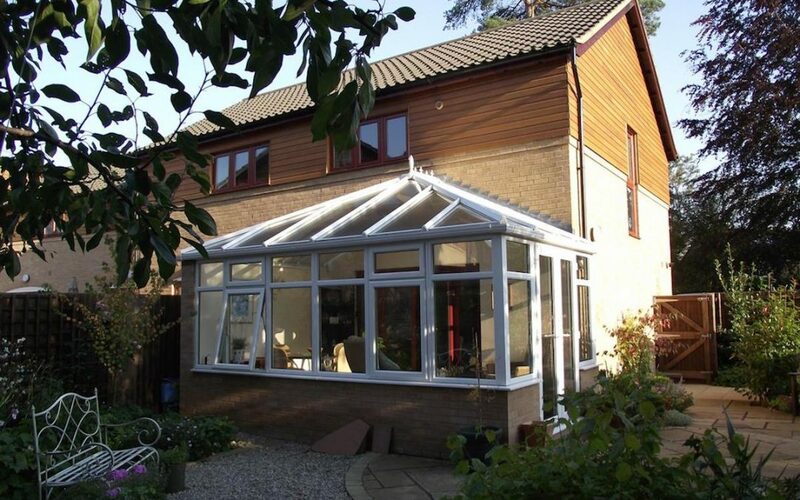 By building a new Conservatory, this couple were able to downsize their home without downsizing their lifestyle. 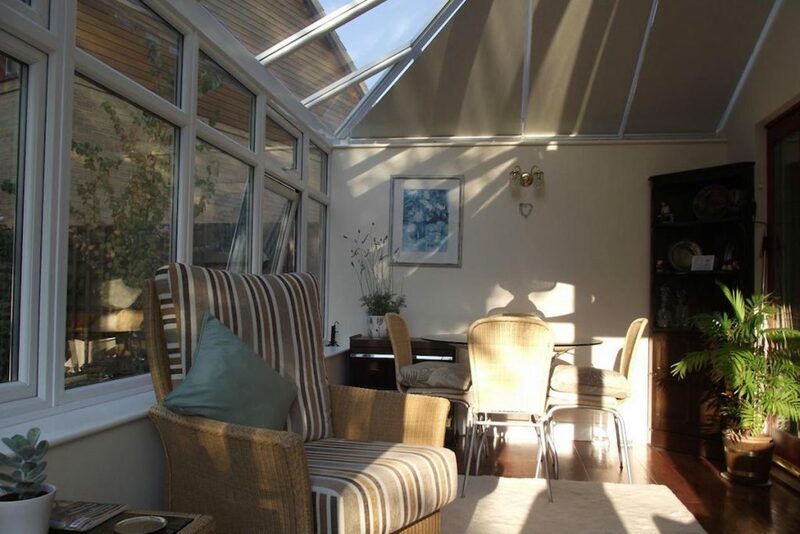 They love their new Great Shelford Conservatory and when the family come to visit, there is room for everyone to enjoy the light and love in this small but beautiful home.